Nigerians were shocked days ago when a little boy was rescued from an old wall in Ondo state. He had been buried there and according to eyewitnesses, sang for 3 days before people decided to break the wall and rescue him. several years back. 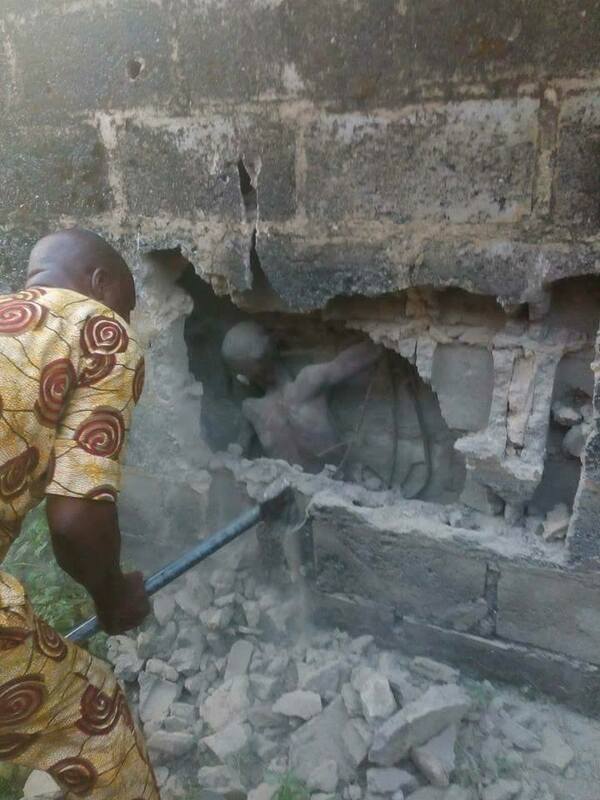 He was rescued at a house located on Oduduwa street in Ijapo area of Akure few days ago. An Eyewitnesse at the scene who identified himself as a priest said the boy was called into the place from a spiritual altar and that he has been there for more than 5 years and that they fed him with human flesh and blood from the spiritual realm.